LoveShift requires a radical shift in perspective, purpose and level of concern. Here are some exercises in perspective to help build the capacity for change. 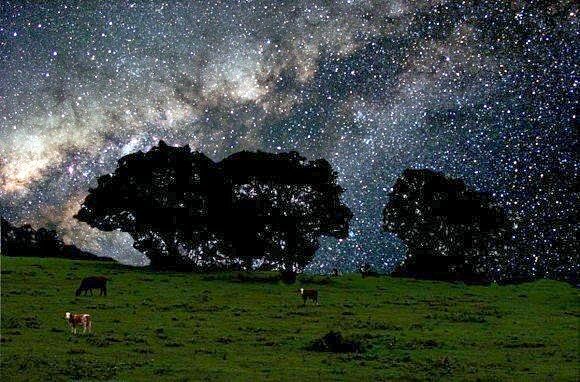 Look at this composite image of a scene with several cows set against the background of the Milky Way galaxy. Try to imagine our planet and everything on it, including yourself, embedded in the living Universe.